Escape rooms used to be spaces where you crammed in with a team of six people and tried to solve a few clues over the period of an hour or so, leading you to getting a whole host of number combinations that can then help open a series of locks hidden around the place. Well, many rooms still are like this but there’s a new beast at play in this unique brain-teasing pastime: technology. 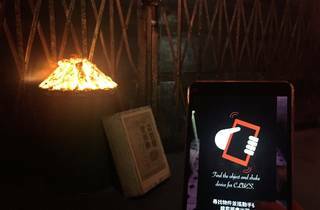 And one of Hong Kong’s most popular escape room organisations has just unveiled their newest sign of the times: augmented reality. 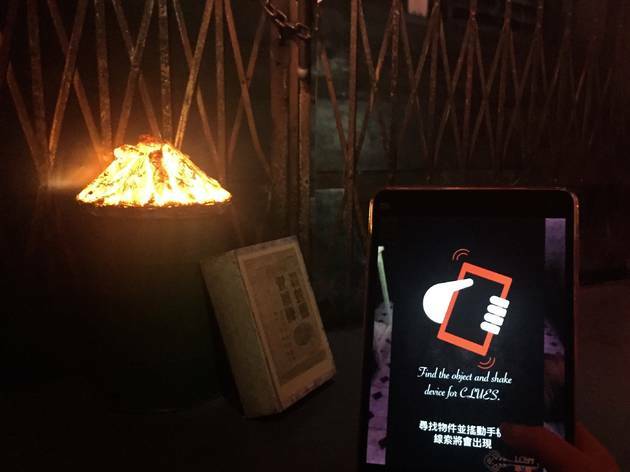 Welcome to Lost HK’s new hi-tech puzzle-solving experience. 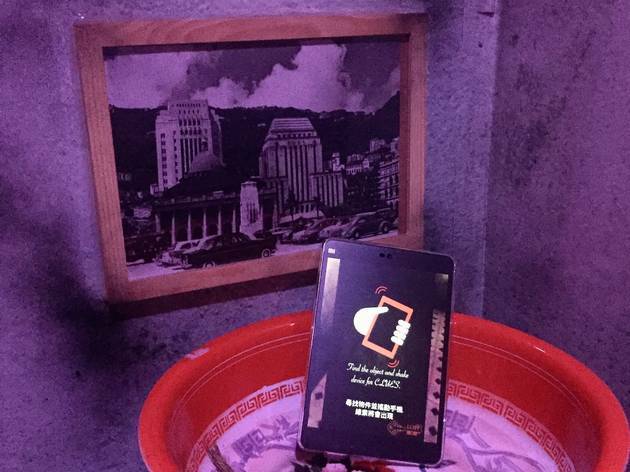 AR, which is a live direct or indirect view of the real world as augmented by computer technology, comes to Lost HK in the form of electronic tablets which are used as part of a game. At the moment these tablets have been rolled out in the Inferno game, which is based on a real fire that happened in Shek Kip Mei on Christmas Day, 1953, when a blanket caught fire and flames engulfed a room before they quickly spread and thousands of wooden homes were destroyed, with 41 people losing their lives. 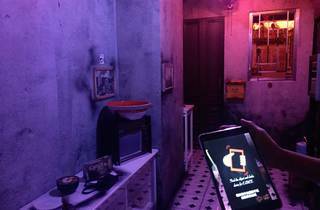 There are Lost escape rooms across the world: on the Mainland as well as in Australia, Singapore, Abu Dhabi, Vietnam, Taiwan and Canada. 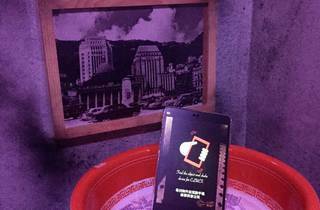 Lost Hong Kong, in Causeway Bay, is home to a series of escape rooms over four floors. Basically, an escape room, for those who haven’t done one, is a space where players get locked inside and they have to solve a series of puzzles to, hopefully, get out within the time limit, which is usually 45 minutes or an hour. It’s a physical, mental and, frankly, emotional experience, and usually comes with a pre-set story and scenario. ‘Escapers’ are limited to using only the tools they have inside the space along with their puzzle-solving, team-working and observational abilities. No, you can’t just break the door down. And yes, it’s fun but also often pretty full-on as team members argue over clues and everyone keeps glancing at the clock as it counts down towards the end of the game. Lost HK launched in 2013 and it’s been growing ever since. 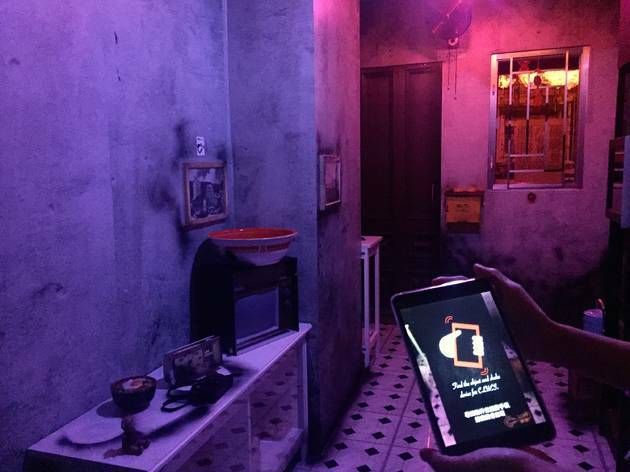 It’s one of only a handful of escape rooms in the city and it’s seen an array of corporate training events, kid’s parties and even marriage proposals. Of course, the bread and butter is made of up of friends who get together and try to battle their wits against the games, which include Castiglione, a Chinese zodiac-based adventure, and Exodus, a Biblical journey set in the Middle East. There’s also a game based on escaping from San Francisco’s famous prison, Alcatraz, and a grisly journey through Japan’s ‘suicide forest’ in Aokigahara, as well as a host of others, some pretty scary in nature. But the AR addition is new and adds a whole exciting element to the experience. We’re told the Hong Kong venue is soon to launch virtual reality games as well. So, watch this space. Indeed, there’s no escaping the possibilities that new technology brings to these puzzling adventures. 15 Matheson St (entrance on Yiu Wa St), Causeway Bay, 2892 2393; losthk.com.